Yes, if you thought the world's most successful pirates were all moored off the coast of Somalia, then you should check out our balcony. 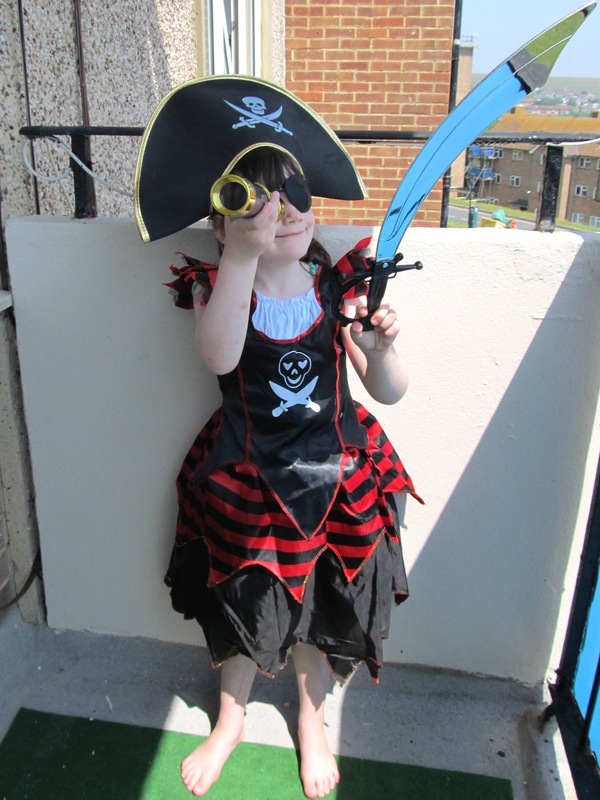 That's Amelie putting the kid back into Captain Kidd and the lass into cutlass by posing in her new pirate costume. It's designed for ages 7-9, which explains why it fits her like a glove and comes complete with a weapon. Albeit an unrealistic one. She was hoping for an AK-47. Anyhoo, since the new series of 'Swashbuckle' started on Cbeebies last week, Amelie's become slightly obsessed with piracy, so it's only a matter of time before she's downloading torrents and burning DVDs. She's spent the past week looking for treasure and shaking her booty, and having reached the point where she'll no longer respond to her parents unless they start every sentence with "Ahoy! ", Lisa decided to spend some of her school uniform budget on an eye patch. And the girl couldn't be more pleased. Sea-based robbery has never been so much fun. The moment she spots the Chandlers with that telescope, we'll be quids-in. 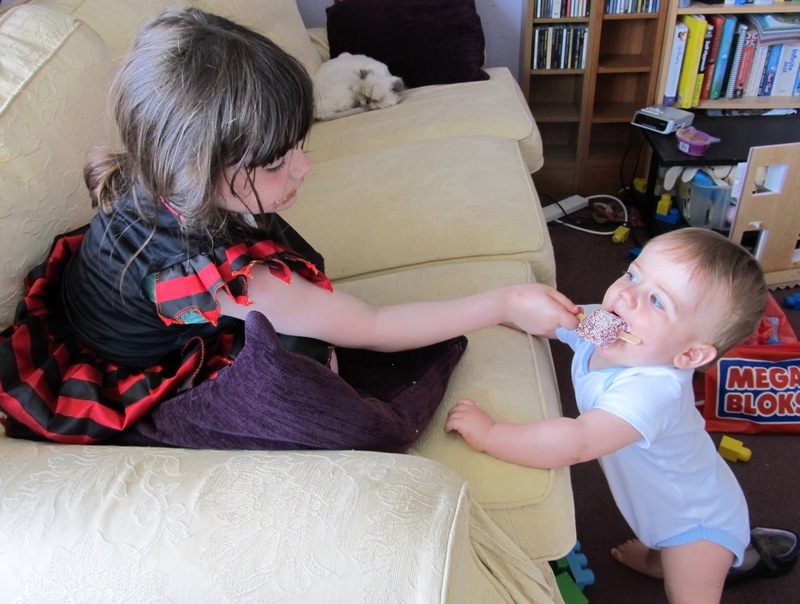 You're never too young to share a Nobbly Bobbly with a pirate. As long as the school accept the variation on their uniform, she'll be fine! You could send her to a Somalian Catholic school?